The 2014 Virginia State Yoyo Contest is on! This year’s contest will be held at the Children’s Museum of Richmond, located in the heart of downtown Richmond. YoYoExpert is proud to be a GOLD Sponsor of this contest and will have a booth for all your yo-yo needs thanks to the amazing Eric Koloski! 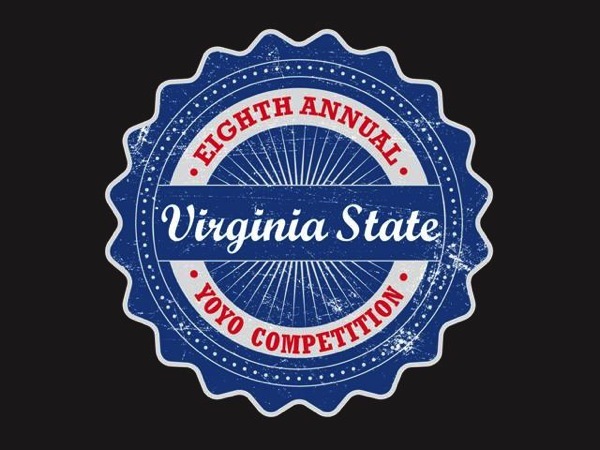 The 2014 Virginia State YoYo Contest will have a 1A freestyle division, an Open freestyle division, and 2 Sports Ladder Divisions (17 and under and 18+). The cost to compete will be $15 for one freestyle division or $20 for both and $10 for Sports Ladder. Registration begins at 10:00 AM. OneDrop 2014 Benchmark Series Releases!